Welcome back to the article that lets you take a peek at the voices behind all the characters in Steven Universe! It's time for "Hey, It's That Voice!" Can you really believe that it's been over a year since we started this article? Well, today we are going to take a look at the voice behind Sadie's favorite popstar! We don't know a lot about Sadie's favorite singer. In fact, we don't even know their name. But we do know three things about her. Firstly, we know what she looks like. Secondly, we know that she sings "Haven't You Noticed (I'm a Star)" (and that Sadie knows every word). And lastly, we know she is voiced by Olivia Olson! Olivia Rose Olson was born in Los Angeles, California on May 21, 1992. She first rose to fame with her role in the 2003 film Love Actually. In the film, Olson played Joanna Anderson and even lent her voice with a cover of "All I Want For Christmas Is You". After Love Actually, Olson starred in various other roles, including The Wayne Brady Show, The Tracy Morgan Show, Zoey 101, and The Ellen DeGeneres Show. 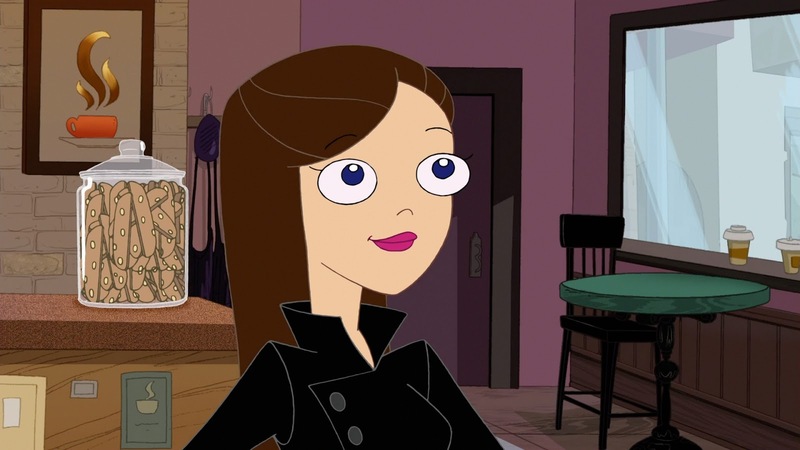 Vanessa Doofenshmirtz (Olson) in Phineas and Ferb. In 2007, Olson gained the role of Vanessa Doofenshmirtz on the Disney cartoon Phineas and Ferb. She also reprised the role of Vanessa in a deleted scene in the film Phineas and Ferb the Movie: Across the 2nd Dimension. For the show (and film), Olson lends her voice to the music numbers. 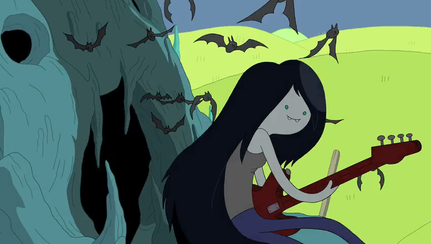 Marceline the Vampire Queen (Olson) in Adventure Time. However, Olson's most well known role is her voicing Marceline the Vampire Queen in the Cartoon Network show Adventure Time. This fan-favorite character also allows Olson to share her singing voice. 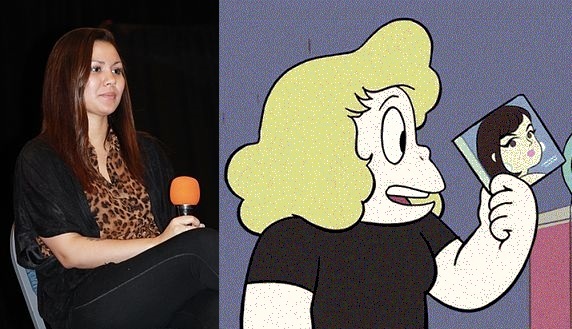 She has sang many of the show's popular songs, including "The Fry Song", "Remember You", "I'm Just Your Problem", and "Everything Stays" (written by Rebecca Sugar). She also lends her voice to other Adventure Time media, including Adventure Time: Explore the Dungeon Because I Don't Know!, Adventure Time: Finn & Jake Investigations, and Lego Dimensions. Lastly, Olson has released a some of her own music. In 2013, she released her first EP entitled Beauty Is Chaos. Later that year, she released The Father-Daughter Album of Unspeakable Beauty, a duet album with her father Martin Olson, the voice of Marceline's father Hunson Abadeer. And that will do it for this edition of "Hey, It's That Voice!" Join me next time when we look at the voice of one of the Zoo-mans!